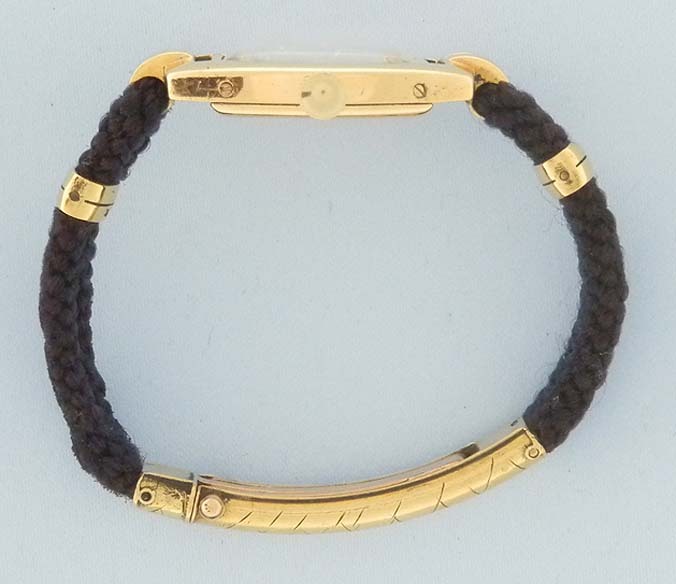 Fine, scarce and beautiful Cartier 18K gold ladies Art Deco vintage wrist watch with original gold fittings and gold deployment buckle, circa 1925. Original silver dial with black markings and blued steel Breguet hands. 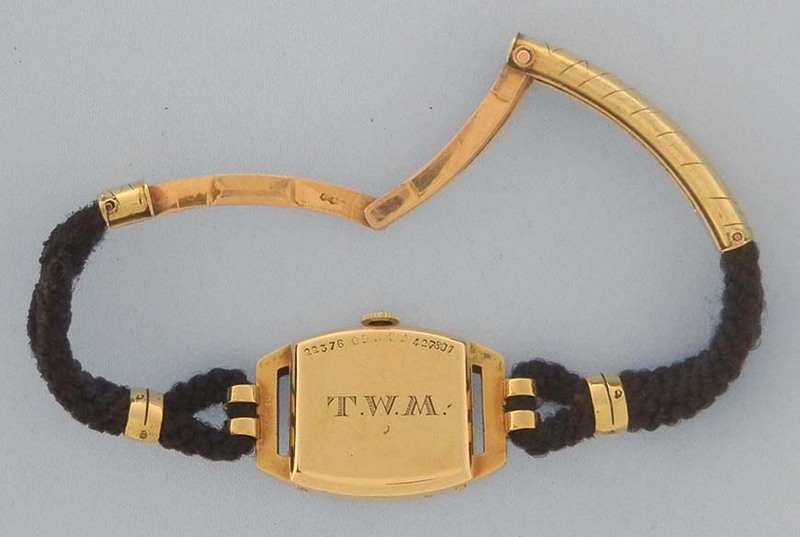 Openwork tonneau case. 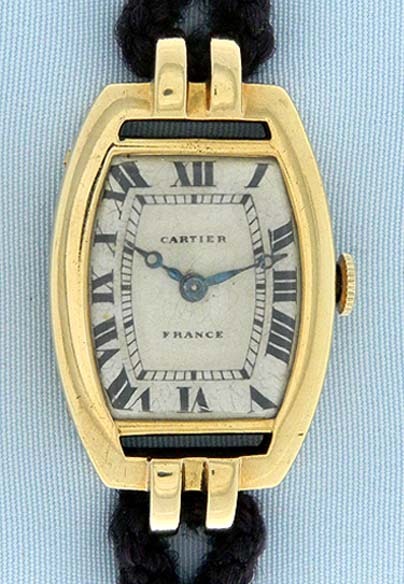 European Watch and Clock Co. (Cartier's watch factory) 15 jewel rhodium (some loss to rhodium) 15 jewel 3 adjustment movement. Elegant.